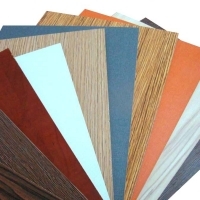 Browse mdf-boards suppliers by country and region. Used textile machinery weaving: dornier, vamatex, somet, sulzer, saurer, spinning, knitting: mayer, orizio. Transportation machinery: Guide rail, convey belt, convey device slide block seat, fixing board, product flow line timing star wheel --Food processing machinery: With its performance of high wear resistance, anti-impact resistance, inadhesion resistance, non-toxic and clean property, UHMWPE material can be used in planet wheel, bottle convey counting bolt, filler bearing, bottle holder parts, washer guide bolts, air cylinder, gear, roller cone, chain wheel handle, which is easy-cleaning, long-enduring, and anti-mildew. --Paper making machinery: With its performance of high wear resistance and good self-lubrication, UHMWPE material can be used in water suction tank cover, skew guide wheels,scrapper , bearing, nozzle, filter, oil tank, friction bar, felt cleaner. --Textile machinery: With its performance of high-wear resistance, anti-impact and good self-lubrication, UHMWPE material can be used in scutcher, shock absorber shield, contactor, crankshaft connecting rod, picker stick, skew rod shaft sleeve, swing rear beam. --Construction machinery/agriculture machinery: Bulldozer blade lining. Dumper ripper lining, tractor plow inner lining. --Chemical machinery: Valve, pump, washer, filter, gear, nuts, seal rings, nozzle, plug, shaft sleeve, thread pipe. --Port machinery/ship machinery: Ship parts, suspension bridge side roller, friction block. Ordinary machinery: All types of gear, bushing, liner, sliding plate, clutch, guiding unit, brake, hinge, flexible coupler, roller, bearing wheel, fastening unit, platform sliding unit. --Dyeing decor: Dip dyeing machine bearing, scrapper, sliding plate, lining washer, seal, framing guide disc, --Culture and sport products: Snow dip liner, powered sledge, skating rink paver, ice field protection frame. --Healthcare products: Shape righting surgery, artificial joint, artificial limb. --Other: Cooling machine, nuclear power plant shield, electric galvanized parts, and ultra-low temperature machine parts.Mostly using of its high-wear resistance, high anti-impact resistance, anti-cold resistance, self-lubrication. Transportation machinery: Guide rail, convey belt, convey device slide block seat, fixing board, product flow line timing star wheel --Food processing machinery: With its performance of high wear resistance, anti-impact resistance, inadhesion resistance, non-toxic and clean property, UHMWPE material can be used in planet wheel, bottle convey counting bolt, filler bearing, bottle holder parts, washer guide bolts, air cylinder, gear, roller cone, chain wheel handle, which is easy-cleaning, long-enduring, and anti-mildew. --Paper making machinery: With its performance of high wear resistance and good self-lubrication, UHMWPE material can be used in water suction tank cover, skew guide wheels,scrapper , bearing, nozzle, filter, oil tank, friction bar, felt cleaner. --Textile machinery: With its performance of high-wear resistance, anti-impact and good self-lubrication, UHMWPE material can be used in scutcher, shock absorber shield, contactor, crankshaft connecting rod, picker stick, skew rod shaft sleeve, swing rear beam. Construction machinery/agriculture machinery: Bulldozer blade lining. Dumper ripper lining, tractor plow inner lining. Chemical machinery: Valve, pump, washer, filter, gear, nuts, seal rings, nozzle, plug, shaft sleeve, thread pipe. Port machinery/ship machinery: Ship parts, suspension bridge side roller, friction block. Ordinary machinery: All types of gear, bushing, liner, sliding plate, clutch, guiding unit, brake, hinge, flexible coupler, roller, bearing wheel, fastening unit, platform sliding unit. Dyeing decor: Dip dyeing machine bearing, scrapper, sliding plate, lining washer, seal, framing guide disc, Culture and sport products: Snow dip liner, powered sledge, skating rink paver, ice field protection frame. Healthcare products: Shape righting surgery, artificial joint, artificial limb. Other: Cooling machine, nuclear power plant shield, electric galvanized parts, and ultra-low temperature machine parts.Mostly using of its high-wear resistance, high anti-impact resistance, anti-cold resistance, self-lubrication. Shijiazhuang Bajiang Import And Export Trading Co., Ltd.
Jiaxing Ria Plumbing Tech Co., Ltd.